site map.skip to main content.accessibility. 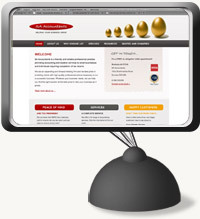 We produced this website for our own accountant SA Accountants. We've put a focus on professionalism and also client feedback as so often this type of service is used following good reviews and word of mouth. Geek alert!! The site is built using the fantastic Open Source Wordpress system. This allows SA Accountants to update content easily from any computer with an internet connection.